On Tuesday, over 4,700 unionized employees of South Eastern Pennsylvania Transportation Authority stopped working after the union and SEPTA failed to reach an agreement over a contract dispute. Transportation Workers Union Local 234 represents approximately 4,700 SEPTA workers, and members voted last week to strike if they did not reach a deal before their contract ran out. The union is demanding better pension and healthcare plans while SEPTA claims there is no room in the budget for these requests. Although negotiators say the two parties are close to reaching an agreement, there is no clear end in sight for the strike. The strike means that all SEPTA transportation in the city of Philadelphia is not running, while regional rails and several buses in the Philadelphia suburbs are still running but with noticeable inconsistencies and extreme delays. According to SEPTA, all the transportation methods combined had an average ridership of 820,000 in the month of September. The cancellation and delays have lead to problems with commuting and traffic. Despite continued regional rail service, the strike is directly impacting the college community. 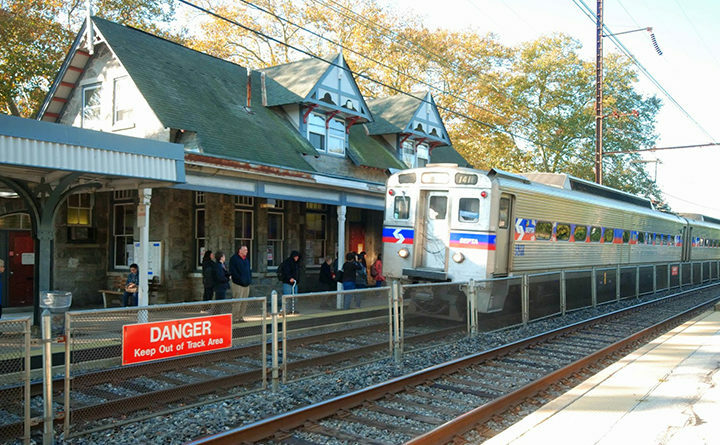 Many faculty and staff depend on SEPTA to get to Swarthmore from the city, and they may not be able to get to the regional rail. “My train was twenty-some minutes late, and the schedule was just confused enough that I ended up missing the late train I was waiting on the platform to catch,” said Professor of English Literature Nora Johnson who relies on SEPTA for her commute each morning. “I hope, one day, SEPTA will get funded more generously by Harrisburg, and can then pay its employees well and improve service at the same time,” Johnson continued. 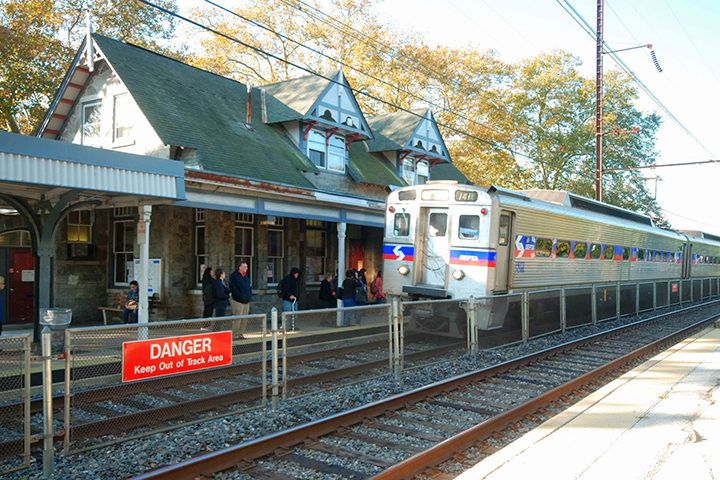 Students also regularly use the SEPTA and were affected by the strike. Rose Riddler ’19, who is currently taking a class at the University of Pennsylvania through the college’s Quaker Consortium agreement, said she was able to get into the city with little or no inconveniences. She says that she just got lucky. “Getting out actually worked out well for me, but not for others. I caught the SEPTA 10 minutes earlier than it was scheduled right as I walked onto the platform at University City, but I later found out that it was the SEPTA that was supposed to be an hour earlier,” said Riddler. She also noted that the SEPTA was less crowded than usual, which she attributes to people avoiding SEPTA as a result of timing issues. “The effect on the buses is obviously more severe since they aren’t running. My Thai teacher usually rides the bus to Center City after my class, which takes about 10 minutes, but she said her commute would take about an hour this evening because she couldn’t take the bus,” said Riddler. Students who have field placements in Philadelphia schools as a componet of courses in the department of educational studies also rely on SEPTA. Many students depend on SEPTA to get them to their placement. The department anticipated the strike, and it was able to prepare by scheduling more bus routes. The department has had to add two extra van runs a day in order to get everyone to their placements. “I think the good news is that we knew the strike was coming, so we, last week, started to work on a plan and put it into place, and we were able, with the help of student activity vans and public safety, to quickly put in additional runs to help students that can’t use subways buses or trolleys in the city,” said school liaison for the department of educational studies Cathy Dunn. Although many students are still able to use the regional rail to get to their placements, the delays are causing issues regardless. Dunn says she knows of two students as of Wednesday who were unable to make it to their placements due to train delays. Students are worried that delays will cause them to be late returning to campus, which might cause them to miss other engagements. The priority for the department has been ensuring student teachers get to their jobs. “Getting student teachers to work has been our first priority because, in order to get their certification, they need to complete twelve weeks within their school setting, so that’s been our top priority, and they’ve all been able to get to their schools … In some cases, they’re a half an hour late, but at least, they get to work,” said Dunn. Despite the struggles, Dunn said she is happy to see the college coming together to make sure they are able to support students in their coursework. “We have people like professor Edwin Mayorga who’s actually driving a van, and so when we have our faculty stepping up to help out, that’s just been really great — kind of coming together to make things work,” said Dunn. The upcoming elections further complicate the situation. The election is less than a week away, the last SEPTA strike occurred in 2009 and lasted for six days, which means that if the current strike lasts as long as the one in 2009, it will continue through Election Day. In a press release, SEPTA announced that they intend to enjoin the strike on Election Day to transport people to vote. Regardless of the announcement, the strike has caused concern for many about their ability to get to the polls on Election Day. There is concern that there will still be cancellations or delays that will affect turnout. In addition to the turn-out issue, the election is also putting extra pressure on local officials who are up for re-election. The pressure to keep constituents happy so close to the election is putting pressure on elected officials to help broker a deal.